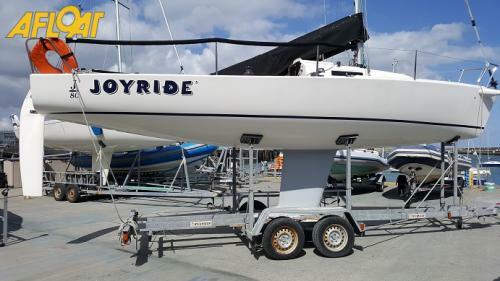 Joyride has been lightly sailed and always dry sailed, no antifouling. 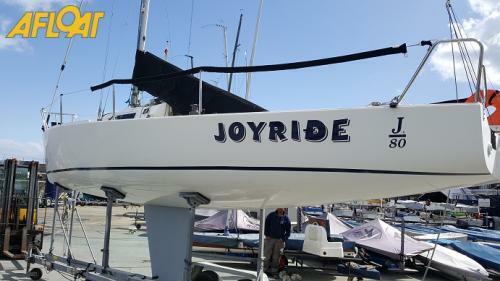 The J80 is a pleasure to sail and with its big cockpit allows for 4/5 crew in comfort. New internal cushions. Road legal trailer.Viewing will not disappoint. Essentially dinghy sailing is the activity of sailing a small boat (from 9 foot to 20 foot) by using five essential controls: the sails, the foils (i.e. 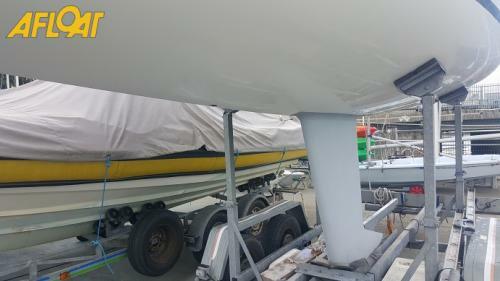 the dagger board or centreboard and rudder, the trim (forward/rear angle of the boat in the water), the side to side balance of the dinghy by movement of the crew particularly in windy weather.Different classes suit different sizes of people where body weight is a critical aspect to performance when dinghy racing or even cruising. Dinghies are typically single-handers or double-handers. 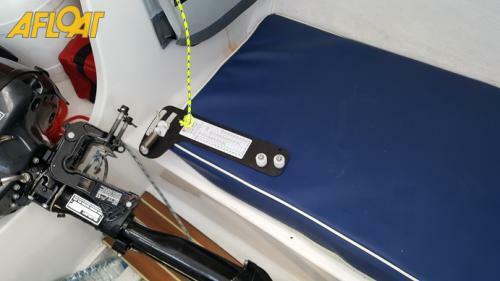 Dinghies are highly transportable and are easily towed behind a car for launching off slipways or beaches and they are also car toppable for transport with a roof rack.Some of the most popular designs such as the Optimist, Mirror and the Laser. Racing is one of the most popular forms of dinghy sailing, and it contributes to the development of sailing skills as well as to improvements in dinghy and sail construction and design.One design dinghies are supposed to be identical, though in reality this is not always the case. The idea is that One Designs provide a fair and level playing field for even competition.In Ireland today there are over 20 active classes of dinghy designs from beginner boats for children such as the Optimist, Mirror or Topper right up to the high performance craft such as the international Fireball or Olympic470 dinghy. The typical range of dinghies sailing in Irish waters are as follows: Albacore, 420, 470, 505, 29er, 49er, B14, Enterprise, Europe, Finn,Fireball, Firefly, GP14, Heron, Lark, Laser, Laser 2, Pico, Mirror, Mermaid, National 18, Ok, Optimist, RS200, RS400, Shannon One Design, Scorpion,Topaz, Topper, Waterwag and Wayfarer. Moving on from the dinghy scene the one design keelboat circuit in Ireland has a growing number of international classes. These are keelboats roughly 20 to 30 foot in overall length normally crewed by two or three people. In Ireland these boats represent a high proportion of racing craft. 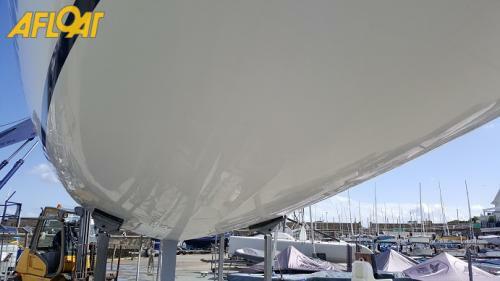 Irish racing one design keelboat classes include: RS Elites, Dragon, Etchells, Folkboat, J80, J24, Puppeteer 22, Ruffian 23, Shipman, Beneteau first 31.7, J109, Sigma 33, 1720, Squib, Howth 17, Glens and Flying fifteen.